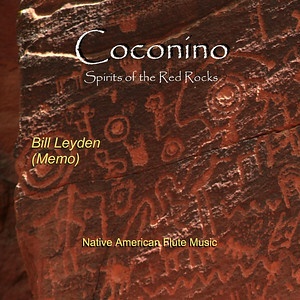 Here is the song, “Leaving Sedona” on the “Coconino Album” to listen to as you read, with special thanks to Stephen Deruby for his generosity and for being a mentor. I am playing the Deep Mystic Flute on both ends of the song; Stephen is playing the Mystic Drone flute in the middle. At the time of this writing (2011), I attended my first Native American flute festival about six years ago in Northern California. I was asked often, “who’s flute do you play?” I would answer in near-truth, “I don’t, I just like flute players.” I think I was intimidated by so many natural musicians gathered in one place that did not necessarily play the guitar (an instrument on which I can make or fake any pop sound). So in my mind it was better to suggest that I did not play rather than subject a potential listener to the squeaks that I could muster. One of the first people that I met was master-craftsman and musician, Stephen Deruby — a man who I still call friend and delight in conversing with from time-to-time. I imposed upon Stephen several years ago and asked him to listen to a song that I was working on in which I was using one of his flutes – a “Deep Blue C Mystic,” flute. Before he gave me his sage advice, he admonished me that “friends do not send friends 192Kb/sec mp3’s in the email to review – try something a little smaller.” But then he gave his advice, but so much more: he sent the file back with a track that he added in which he played his “Mystic Drone Flute.” in accompaniment. It was (and is) gorgeous. Stephen graciously agreed to let me publish the track with his accompaniment in the song – and of course I purchased the flute. The song became “Leaving Sedona” on the “Coconino” Album. Many people claim that area surrounding Sedona, AZ has certain energetic qualities. Everyone is different – I don’t feel anything particularly strange when I enter Sedona, but I always feel like I am passing through some transparent barrier when I am leaving — a barrier that separates Sedona from the rest of the planet. At times I feel a sense of relief that I am returning to what is familiar to me, and sometimes I feel at-once a longing to return to Sedona again. This probably sounds like mumbo-jumbo, but nonetheless I can’t deny that visiting Sedona is a singular experience.